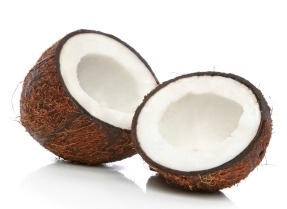 For some of us, coconuts conjure up images of palm trees and tropical locales. For others, they take us back to mouth-watering memories of our mother’s home-baked coconut cream pie – or even the sweet, gooey center of our favorite childhood candy bar! But did you know that besides tasting delicious, the oil pressed from the meat of the coconut contains numerous health benefits, for people and companion animals? Let’s take a closer look at coconut oil and why you should consider adding some to your pet’s diet.